When you think you’ve seen it all, there’s Koh Rong. 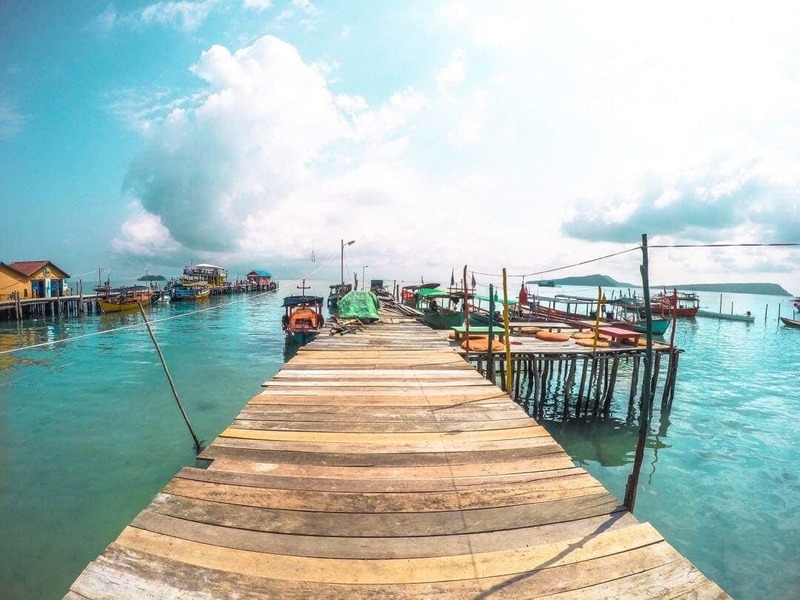 After a two-hour drive with the high-speed ferry, you will dock at the pier on Koh Touch village. Once off that pier, the first thing you’ll notice is the sand between your toes and after a few minutes you’ll find out that you’ve arrived in hippie heaven. 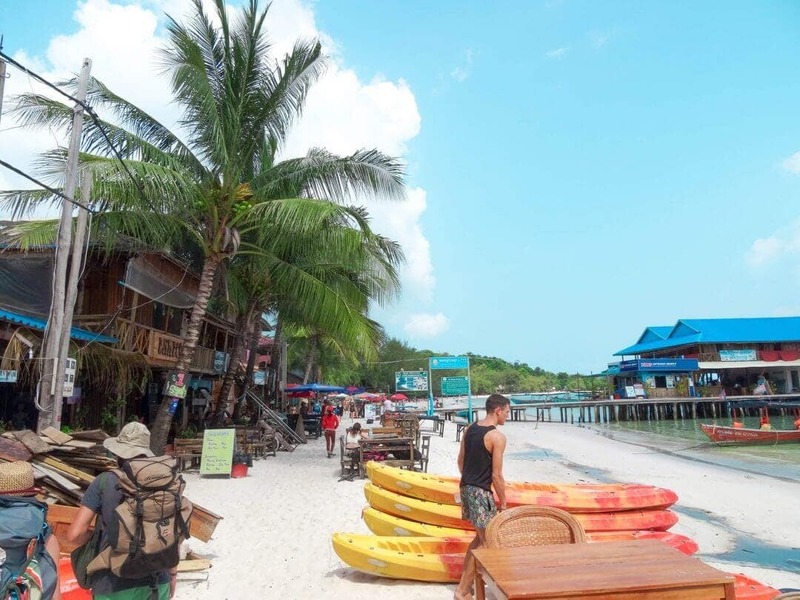 Koh Rong is a favorite getaway for expats and backpackers, once you have visited Koh Rong or Sanloem you will know with a true island paradise is. Looking for a place to stay on Koh Rong? 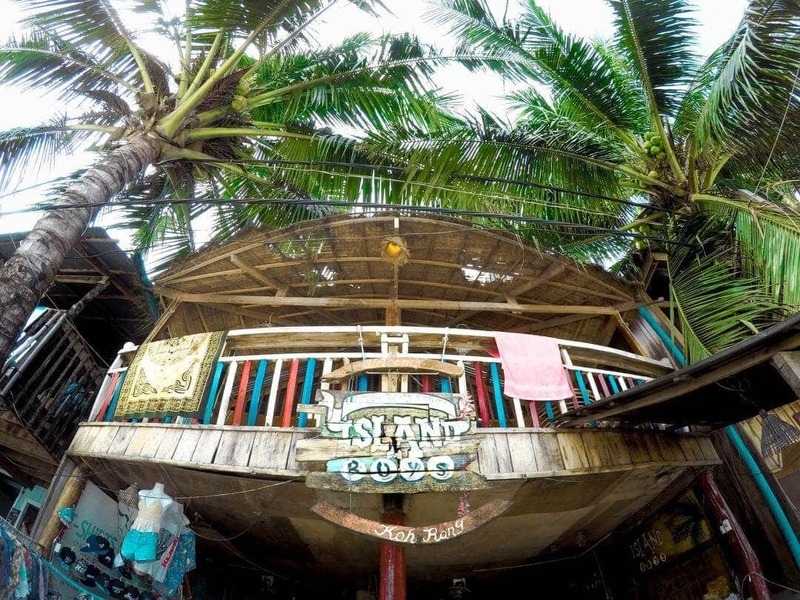 See our Koh Rong Hostels & Guesthouse guide. 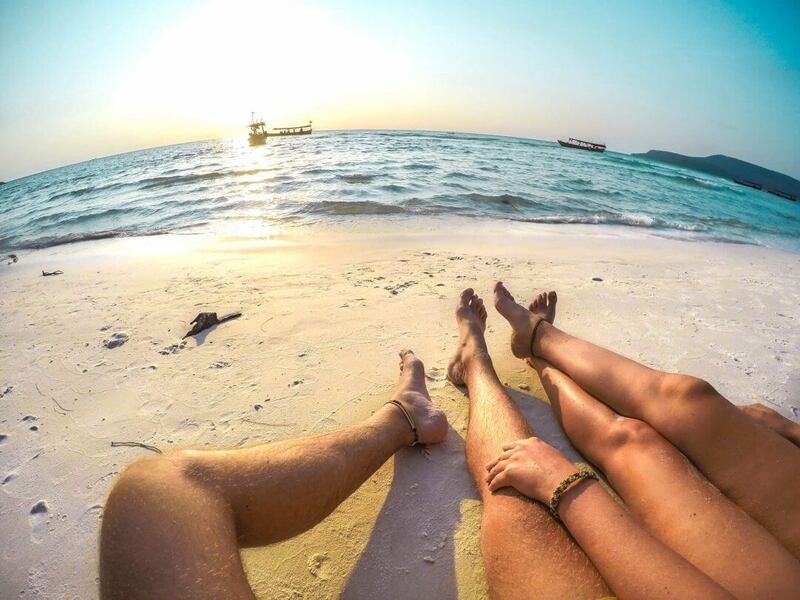 The main area of Koh Rong called Koh Touch is a 2km strip of white sand, built with accommodations, home stays, restaurants, shops, and bars. There’s no concrete road, no 24/7 power supply, since January they’ve got their first policemen and it’s the only place in Asia where smoking weed seems to be legal. ? Although Koh Rong is a bit undeveloped and should mainly be visited to chill, there still are some activities that you can do! There are several companies that offer a boat tour. For a few dollar, you’ll be on a boat for a whole day. They will take you to a small island to snorkel, to long beaches to chill, to catch your own fish and later on to BBQ on the boat. Koh Rong is famous for bioluminescent plankton, they light up in the dark. You won’t be able to see the plankton near Koh Toch Village because of all the lights. You can combine this with a boat tour you take. Koh Rong’s first and only sky bar is a great place to just chill and enjoy the afternoon. You can find it by following a narrow alleyway between The Minimart and The Rising Sun Guesthouse. Rent a hammock for $2/night or a tent for $5/night and sleep at Long Beach for a day or two. Koh Rong dive center is located at the main pier and is currently the only dive center on the island. They offer diving courses every day of the week. Friends of Koh Rong is an organization that helps the island with education and the island development. They have a lot of ongoing projects and if you want to do something good, stop by and ask them if you can help. They organize a beach clean-ups once or twice a week. High Point Adventure Park, owned by a Russian guy, he built a rope adventure park with a 160-meter zip line. The park is high in the jungles of Koh Rong and features two ziplines, climbing and rope walking. Every Tuesday a Pub Crawl is organized that takes place at five different bars on the island. For $5, you’ll get free drinks in every bar. Sounds like a good deal, right? There is no proper working WiFi. A lot of people, including us, got sick after visiting Koh Rong. We heard and read that you shouldn’t swim near the pier, where the sewer ends. Koh Rong suffers from sandflies. We keep these photos to ourselves. ? You can prevent the bites from sandflies by covering yourself in coconut oil. It doesn’t repel them, but the layer of oil will trap them and prevent the bites. The sad part of the paradise story is that the island is bought by some rich guys. They’re making plans to transform it into the next Hong Kong. But that’s a reason for you to go, right now! Give us one reason to skip this experience? 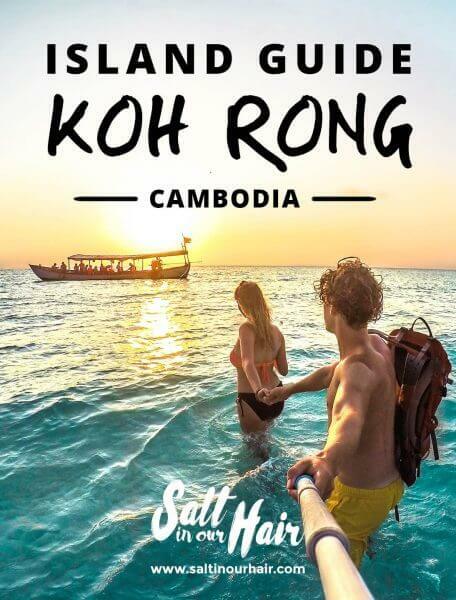 How to get on Koh Rong? Flying to Phnom Phen is the nearest to Koh Rong. But tickets to this airport are usually a lot more expensive than flying to Siem Reap. From Sihanoukville one or multiple ferries leave for Koh Rong. You can go to the pier, book an open return ticket and hop on the next ferry. This will cost you around $21,- and will take 45 to 90 minutes. The day before leaving you will get to the ferry company, tell them you want to leave the next day and take the boat back to Sihanoukville or Koh Rong Samloem. The newest company GTVC offers return tickets for $12. Book your tickets online, search for the ferries on this website. Drop off at Koh Touch or alternative piers which are not serviced by the other ferry companies. $20 for a return ticket. Buy your ticket here. Make sure to select a ferry in the search form. 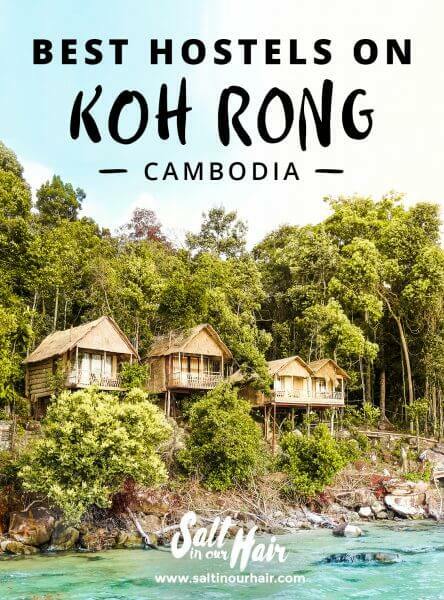 Where to stay on Koh Rong? A lot of people living on Koh Rong transformed their houses into dorms, which cannot be found on Booking.com or Agoda.com. When you get off the pier across from Coco’s, go left to stay in the more quiet area or right to enjoy the late night parties. 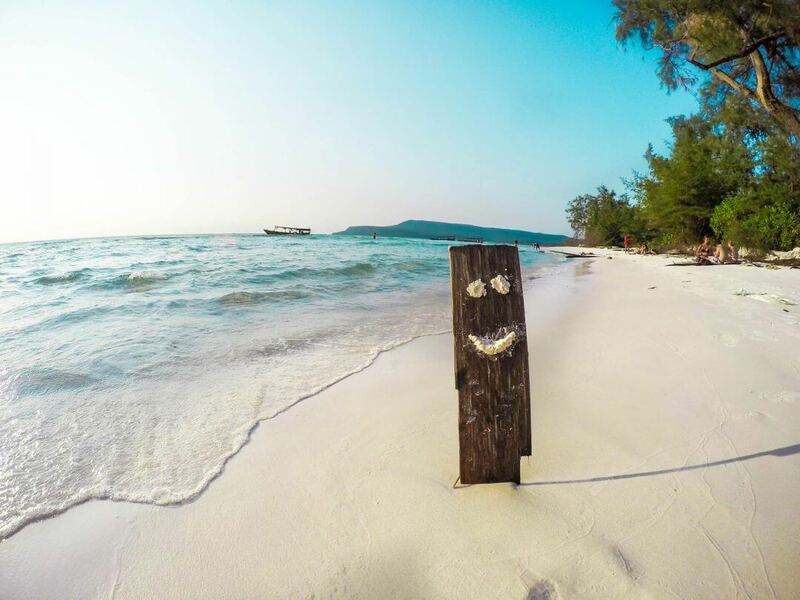 Check out this article about all the great stay on Koh Rong and Koh Rong Sanloem. Situated along the shores of Koh Rong Island. Starting at $15 a night.